England, Georgia, Greece and Montenegro could get through a second straight preliminary round after being among the winners on the opening day of 2016 qualifying. 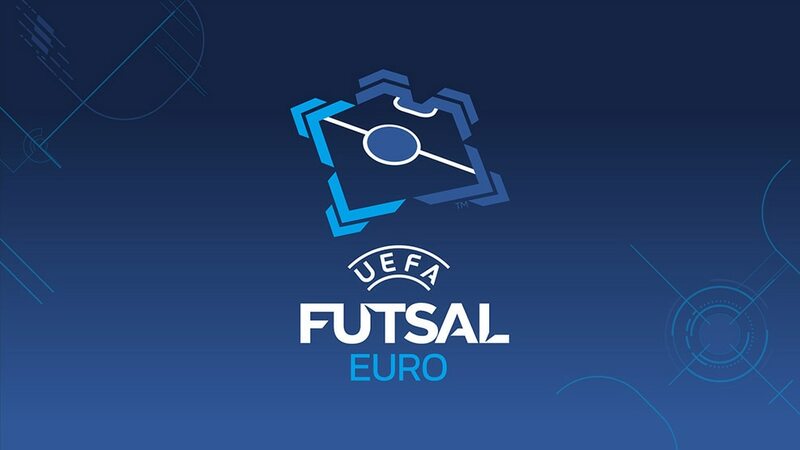 England, Georgia, Greece and Montenegro are in position to get through a second straight UEFA Futsal EURO preliminary round after being among the winners on the opening day of 2016 qualifying. • The second set of games is on Thursday with the deciders on Saturday. • Greece opened up a two-point lead in Bulgaria and will aim for a second win against Denmark tomorrow. • Finland captain Panu Autio opened the scoring and Mikko Kytölä added two more. • Hosts Montenegro, who face Wales tomorrow, also made their superiority count, Bojan Bajović continuing his fine international scoring record with two goals. • Dominant Georgia were three up in the seventh minute and never looked in danger. Roni got the opener and Aleksandr Dzabiradze added the next two; the duo's experience and ability were far too much for Estonia. • A big crowd in Kaunas were delighted as hosts Lithuania led 2-1 at the break through two superb Jurij Jeremejev set-pieces. But the inspirational Alessandro Facchinetti scored twice as Switzerland turned the game in the last eight minutes. Switzerland face Georgia on Thursday in a potential decider. • Despite a string of brilliant saves from 40-year-old San Marino goalkeeper Gabirelle Cellarossi, France – who had 29 shots on target – eased to victory. • The group hosts started with a win with some magnificent touches from forward Cristian Obadă, who scored two excellent goals. Albania face France tomorrow and then Moldova take on San Marino. • Lively Andorra scored twice in the last two minutes but it was not enough to deny Latvia who had taken control of the game with a pair of strikes late in the first half. • England manager Pete Sturgess, whose team play Latvia tomorrow, told UEFA.com: "I am happy with the result but not with the performance. Malta made our life difficult in the first half and could have easily scored. We did better in the second half." • Malta's Mark Marlow added: "I think that England underestimated our team and did not know us that well. We created four or five clear chances but did not score. That was the turning point. England came out very cautious in the second half and that killed us completely." • Scott Lafferty claimed Scotland's first futsal goal in their debut match in this sport but Israel cruised to victory with six different scorers. • Armenia, who face Israel tomorrow, conceded early to a vocal and determined Sweden team. Saro Galstyan put on a brilliant display for Armenia while they went 4-2 up when keeper Ernest Akopov saved then dribbled past several players before setting up the goal. Sweden pulled one back and so nearly levelled against an Armenia side reduced to four men in the last minute. • The seven group winners will advance to join hosts Serbia in the final tournament from 2–13 February 2016. • The seven runners-up plus the best third-placed team will enter the play-offs on 15 and 22 September 2015 (drawn on 10 June). The winners of these four two-legged ties will complete the 12-nation lineup for the finals. England's futsal team are on their best ever run and Doug Reed and Agon Rexha speak to UEFA.com about this week's preliminary round and the game's growth. Malta's preliminary round Group E assignment is the first challenge facing their new futsal coach Mark Marlow as he strives to promote and develop the sport on the island.